The Cura Care difference is found in our process. In very little time, we are able to assess and understand your loved one’s unique situation and recommend a custom elderly home care plan for their particular needs. This gets them the care they need as soon as they need it. Our process involves the following steps. From the moment you call your local Cura Care Office, we begin considering you and your loved one’s specific needs. On the initial call, we ask questions to form a basic needs assessment. After the call, we set up an in-home visit with you and the rest of your family – including the family member who may ultimately benefit from our in-home care. This visit allows us to gather even more information, answer questions and let you understand how Cura Care can help. With Cura Care you will always know what services are being provided to your loved one. After our initial meeting, we develop a Custom Care Plan. This plan is tailored to your loved one’s specific needs. We make detailed recommendations on exactly what kind of services we feel would benefit them. We then arrange a follow-up meeting with you to go over the Custom Elderly Home Care Plan line by line and modify it as you see fit. Once you approve the elderly home care plan, we begin our search for the most appropriate caregiver to implement care. 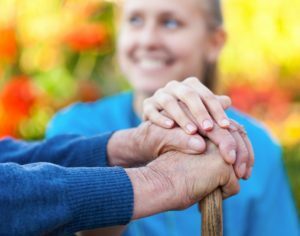 Our system of matching caregivers to clients takes numerous factors into consideration: services needed, your loved one’s interests and the personalities of both your loved one and the caregiver, and how how our caregiver lives from you. By looking at the whole situation, we are better able to provide your loved one with the best caregiver possible. Of course, if there are ever any concerns about a specific caregiver, we can search for and provide a replacement caregiver at any time. Our caregivers keep extensive notes about the care they provide. Those notes are kept at the online portal and are available at any time or in the vinyl folder kept at the house. Our billing system also provides a detailed description of services and care. You will never receive an invoice that doesn’t include a line-item cost of care. Our managers make regular unannounced visits to the homes to ensure caregivers are following the specifics of the Custom Care Plan. Payments for private services: through wire, check, credit card, pay pal. or what ever way works best for you. Insurance plans are acceptable. They require pre-authorization from the insurance company. Rates are set with insurance company. Clients may be responsible for their deductible. Let us help you make sure you maximize your benefit from your long term care policies. (Genworth, Bankers Life, New York life plus many more). We accept referrals from Council on Aging in the region that we serve, throughout Southwest Ohio. Client may be responsible for cost share. Veterans may qualify for up to $2300 month in free care. Call us and we can see if you will qualify for this benefit for serving our country. We also are an approved VA service provider and can provide other paid services. There are many other ways to find help. Contact us and we can steer you in the right direction. One of Cura Care HomeCare Software's most popular features is our FamilyCARES portal. Accessible to our client families and any doctors or care managers they may invite to log-in, the FamilyCARES portal provides up to the minute updates on the care tasks the client is receiving.